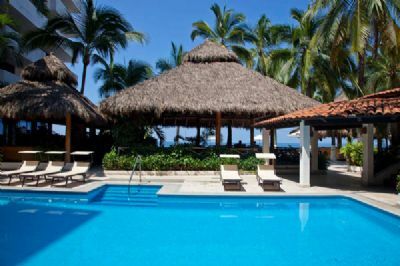 Welcome to beautiful Puerta Vallarta where the azure blue water of Banderas Bay will captivate you and the serenity of the Costa Sur Resort & Spa will restore you. Situated on a private ocean lagoon, only owners and guests at the Costa Sur Resort have access to the property’s exclusive beach. 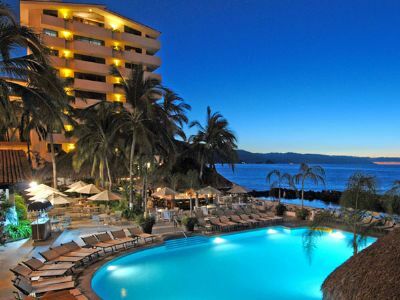 Welcome to beautiful Puerta Vallarta where the azure blue water of Banderas Bay will captivate you and the serenity of the Costa Sur Resort & Spa will restore you. Situated on a private ocean lagoon, only owners and guests at the Costa Sur Resort have access to the property’s exclusive beach. When this Mexico timeshare and hotel resort was originally built, it overlooked a rock barrier. With time, and the pounding ocean waves, the rocks transformed naturally into a reef that is now inhabited by starfish, coral, lobster, and even an octopus or two. Today, this calm water lagoon is an idyllic spot to snorkel, scuba, kayak, paddleboard, or swim. 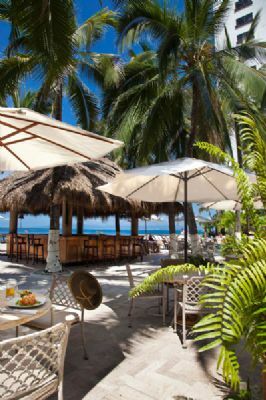 Play, pamper, and delight in every moment you spend at this charming Puerta Vallarta vacation destination. A full-service spa is located on the second floor by the main pool and next door to it is a workout center. 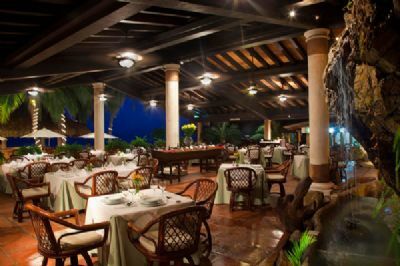 There’s also a restaurant, a pool bar, and a ceviche bar. 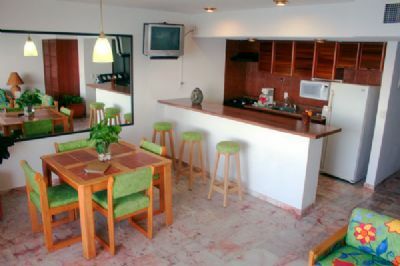 Costa Sur Resort & Spa, Everything You Expect in Beautiful Mexico Timeshare, and More! 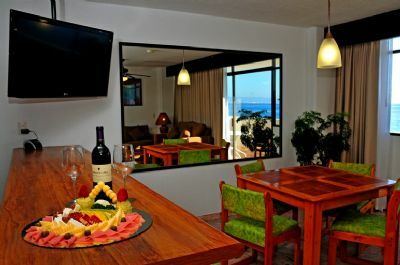 You might choose a Costa Sur ocean front studio, located in the resort’s north tower. 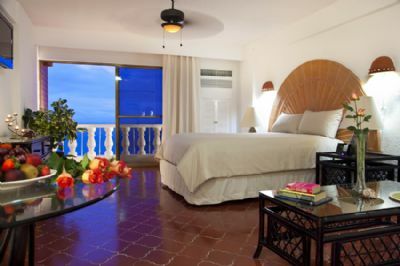 With over 400 square feet of space and endless ocean vistas, this timeshare unit includes both a king bed and a sleeper sofa, a well-equipped kitchenette, a marble bathroom, expansive windows and an ocean view terrace. 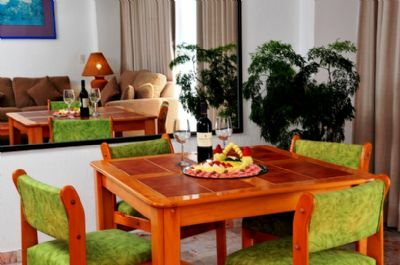 The resort’s stately one-bedroom suites afford you over 700 square feet of luxury and have a master bedroom with marble master bath plus a half-bath off the entry. The living area includes a sleeper sofa and sliding doors that open to a large terrace with ocean views. 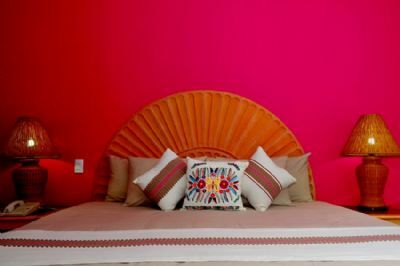 Or for those extra special getaways, consider a honeymoon suite. A luxurious oasis, the honeymoon suite has a honey-colored marble shower, polished granite in the kitchen and all stainless-steel appliances to complement its studio-style floor plan. The ocean view terrace is the perfect spot for enjoying your morning coffee or a moonlit moment. All kitchenettes include upscale finishes, a sink, gas cooktop (no oven), microwave, and full size refrigerator. Every unit has an iPod docking station with alarm clock, a 42-inch flat screen television, air conditioning, ceiling fans, and a small safe. 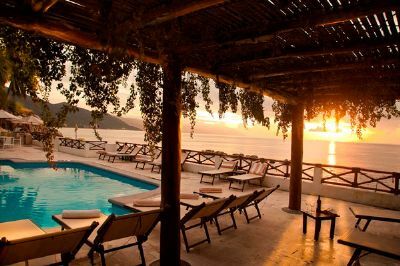 Contact Costa Sur Resort & Spa Specialist Today!